Robbert Dijkgraaf is Director and Leon Levy Professor of the Institute for Advanced Study, one of the world’s foremost centers for curiosity-driven basic research, located in Princeton, New Jersey. Appointed as Director of IAS in 2012, Dijkgraaf is a renowned scientist, a leader in science policymaking, an impassioned communicator and educator, and a trained artist. A prominent mathematical physicist, Dijkgraaf is a leading advocate for pure scientific inquiry and the vital importance of encouraging creativity, imagination, and “out of the box” thinking. He offers a truly international perspective on science and policy having served as President (2014–17) of the InterAcademy Partnership, a consortium of more than 130 of the world’s national science academies, and Co-Chair (2009–17) of the InterAcademy Council, the global alliance of science academies advising the United Nations, the World Bank, and other international organizations. Considered the voice of science in his native Netherlands, where he served as President of the Royal Netherlands Academy of Arts and Sciences from 2008–12, Dijkgraaf is a best-selling author of books for a general audience, appears frequently on television—including annual live events that attract more than a million viewers—and writes monthly for the Netherlands’ top newspaper, NRC Handelsblad. A trained visual artist, a skilled moderator, and a dynamic spokesperson, Dijkgraaf is equally comfortable describing the wonders of nature and the connections between humanities and science as he is articulating issues of societal import. Dijkgraaf is most recently the author of The Usefulness of Useless Knowledge, published in 2017 by Princeton University Press, in which he and IAS founding Director Abraham Flexner articulate how essential basic research and original thinking are to innovation and societal progress, a belief that has informed the mission of the Institute for nearly ninety years. As a scientist, Dijkgraaf has made significant contributions to string theory. His research focuses on the interface between mathematics and particle physics. In addition to finding surprising and deep connections between matrix models, topological string theory, and supersymmetric quantum field theory, Dijkgraaf has developed precise formulas for the counting of bound states that explain the entropy of certain black holes. He has been a Distinguished University Professor at the University of Amsterdam since 2005, where he has held the chair of mathematical physics since 1992. For his contributions to science, Dijkgraaf was awarded the Spinoza Prize, the highest scientific award in the Netherlands, in 2003, and was named a Knight of the Order of the Netherlands Lion in 2012. 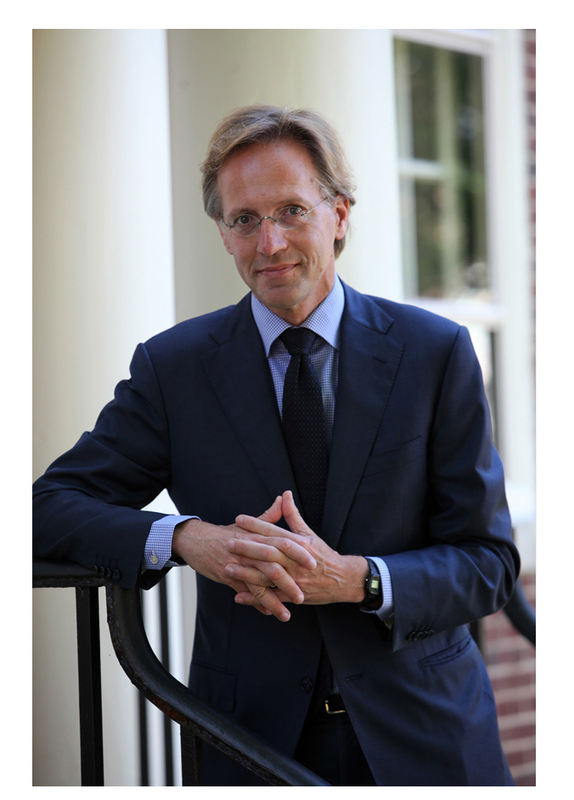 Dijkgraaf has been conferred honorary doctorates from Leiden University, Vrije Universiteit Brussel, and Radboud University Nijmegen and is a member of the American Academy of Arts and Sciences and the American Philosophical Society. Listen to the BBC Radio 3 broadcast by Director's Visitor (2018) Sally Marlow, who interviews IAS Director Robbert Dijkgraaf, and Professors Joan Wallach Scott, Freeman J. Dyson, Nima Arkani-Hamed, and Myles W. Jackson. On April 18, Robbert Dijkgraaf, IAS Director and Leon Levy Professor hosted an "Ask Me Anything" session on the AskScience Reddit forum, coordinated in partnership with the Mathematical Sciences Research Institute, a co-organizer with the IAS and MoMath of the National Math Festival, which will take place in Washington, D.C. on Saturday, May 4, 2019. Robbert Dijkgraaf, Director and Leon Levy Professor of the Institute, is recognized for profound insights at the interface between mathematics and physics—among them the Dijkgraaf-Witten classification of topological quantum field theories, produced with Charles Simonyi Professor Edward Witten—and for leadership as a science communicator. Scientists are working to decipher and harness the power of quantum mechanics, but the strange nature of entanglement and other quantum phenomena continues to confound researchers, posing new and mystifying questions. On January 9, 2019, PBS aired “Einstein’s Quantum Riddle,” now available online, featuring Institute Director and Leon Levy Professor Robbert Dijkgraaf, who provides audiences with a deeper understanding of nature’s quantum language. Created by Robbert Dijkgraaf for the Institute's 2018 holiday card, the artwork depicts the new constellations of 2019, among them Einstein as a cosmic Aquarius and Sagittarius firing his Feynman diagram. Robbert Dijkgraaf, Director and Leon Levy Professor, has been elected a Foreign Member of the Royal Flemish Academy of Belgium for Science and the Arts, a society of outstanding scientists, artists, and business leaders. In November, Institute Director and Leon Levy Professor Robbert Dijkgraaf joined a panel of Quanta Magazine writers and editors to discuss the biggest ideas in math and science presented in two new books: Alice and Bob Meet the Wall of Fire and The Prime Number Conspiracy. The Usefulness of Useless Knowledge by Director Robbert Dijkgraaf and IAS founding Director Abraham Flexner “read in the right government places, might inoculate the nation against philistine utilitarianism,” observes Pulitzer Prize–winning columnist George F. Will in the Washington Post. Big Ideas with Little Kids: Why Is the Sky Blue? In a video produced for Inverse, IAS Director and Leon Levy Professor Robbert Dijkgraaf sits down with a group of seven-year-olds to answer the question “Why is the sky blue?” Through a series of simple experiments, Dijkgraaf and the “class” explore light and color to arrive at an answer. What drew Robbert Dijkgraaf, Director and Leon Levy Professor, to the world of mathematical physics? He explains that it was the fundamental fact that all the structure we see around us — all the natural beauty, order, and disorder — can be explained by mathematical equations. “I got this feeling that deep mathematical facts must also express something deep about nature,” Dijkgraaf tells the Simons Foundation. “The basic element of science is not the knowledge per se, but the method, the romantic feeling that there’s this vast ocean of knowledge to be explored,” says Robbert Dijkgraaf, Director and Leon Levy Professor. Dijkgraaf reflects on his early encounters with science in his childhood attic in the Netherlands for an animated piece by Nautlius Magazine. Why are there six “flavors” of quarks, three “generations” of neutrinos, and one Higgs particle? Robbert Dijkgraaf, Director and Leon Levy Professor, explores the complex search for a single description of reality. Reductionism breaks the world into elementary building blocks. Emergence finds the simple laws that arise out of complexity. Robbert Dijkgraaf, Director and Leon Levy Professor, explores how these two complementary ways of viewing the universe come together in modern theories of quantum gravity. Mathematics might be more of an environmental science than we realize. Robbert Dijkgraaf, Director and Leon Levy Professor, explores the possibility of developing a new realm of mathematics in order to fully understand the quantum world. For a complete list of former Institute Directors, click here.